Rosemarie and I are already hard at work on the second book in the classic Hollywood mystery series featuring Edith Head we’re writing under the name Renee Patrick. (Design for Dying, book number one, comes out from Macmillan’s Tor/Forge Books in April 2016. People are camping out already! Not for our book. They’re just, you know, camping out.) The time had come, we’d decided, for some field research. Say a trip to Los Angeles, followed by a jaunt up the coast for the opening weekend of the thirteenth Noir City Film Festival in San Francisco. It’s a time-honored Hollywood tradition: if your journey begins with the sighting of a star, then fortune will smile upon you. We sit down for our first breakfast and who should be at the next table but Commander Adama himself, Academy Award nominee Edward James Olmos. (Who am I kidding? He’ll always be Lieutenant Castillo to me.) Already we were in clover. Hollywood Costume runs through March 2, which roughly coincides with the closing date of Light & Noir: Exiles and Émigrés in Hollywood, 1933-1950 at the Skirball Cultural Center. This exhibition focuses on the role of filmmakers who fled Nazi Germany in the production of the glittering comedies and dark dramas of the Golden Age of Hollywood. More costumes are included in this show, which also merits a visit. 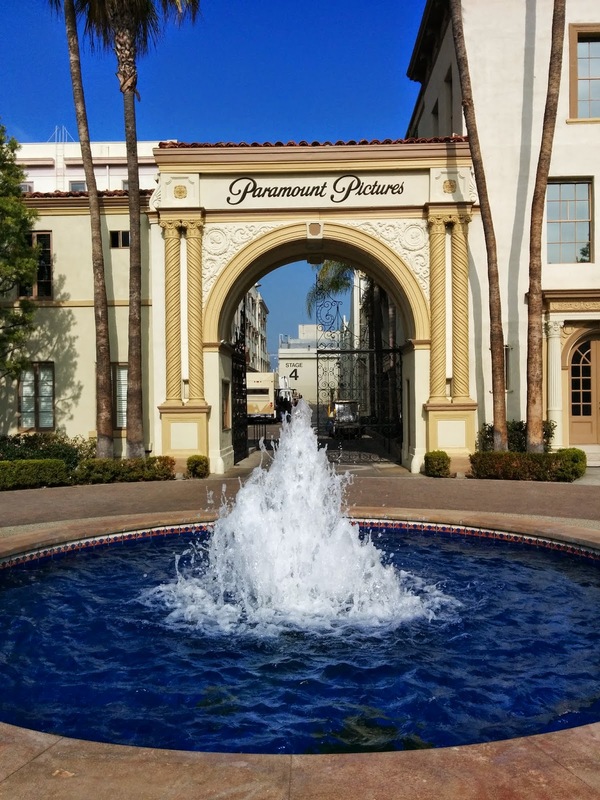 The primary purpose for our expedition was to set foot on Edith’s old domain: Paramount Pictures, the studio where she spent the majority of her career. To our delight, Paramount’s archivists welcomed us with open arms – “Edith would have loved being in a mystery novel,” we were told – and gave us a full tour. 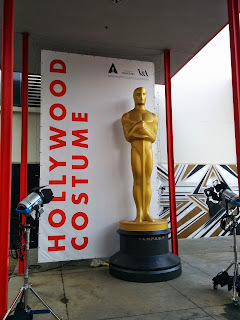 The high point was undoubtedly the costume archive, 80% of which consisted of Edith Head originals. To be in the same room as, say, Barbara Stanwyck’s beaded bolero jacket from The Lady Eve and inspect it in detail was enough to induce lightheadedness. Edith willed her estate to the Academy, so our final destination was the Margaret Herrick Library to look at her papers. It’s impossible to convey the thrill of holding a letter on Alfred Hitchcock’s personal stationery – signed ‘Hitch,’ naturally – in your hands. I’d heard that furniture from Edith’s house had been placed in the Herrick’s Special Collections reading room, so before leaving I asked which pieces were hers. “That table you’ve been sitting at all day, for one,” the librarian said. Truly the power of Olmos was strong. Some time at Noir City San Francisco was mandatory, given the Seattle iteration of the festival is on hiatus pending a move to the Cinerama. This year’s theme is marriage, with your humble correspondent penning the companion article in the latest issue of the Film Noir Foundation’s magazine. Rosemarie and I christened the opening weekend at Trick Dog, recently named one of the fifty best bars in the world – love that Chinese menu; try the #2 – then strolled to the Castro for the premiere of a new 35mm restoration of an old favorite. In 1950’s Woman on the Run, Ann Sheridan’s estranged husband witnesses a mob killing and goes on the lam. When slick newspaperman Dennis O’Keefe encourages her to track her wayward spouse down, Ann discovers new facets to her old man and falls for him all over again. Shot in San Francisco, the movie played like gangbusters to a capacity crowd, with master of ceremonies Eddie Muller cagily adding a then-and-now featurette spotlighting the locations. This is the the jacket we saw. Up close. Up next, the first in a mini-tribute to actress Joan Fontaine. Born to be Bad (1950) casts several actors against type. Usual cad Zachary Scott is a decent if obscenely wealthy man, Robert Ryan shines as a cocky writer (“Seen the view? It’s better with me in it”), and Mel Ferrer does his best George Sanders as a cynical social climbing painter. They all flutter around Christabel Caine, and alas our Joan was a bit long in the tooth to play a scheming ingénue, leaving a void at the film’s center. Still, director Nicholas Ray keeps the melodrama at a steady boil and it was fun to see the original ending deemed too scandalous for release. The experience left me wanting Fontaine at her best, and one of my rules is never pass up Hitchcock on the big screen, so that meant a Saturday matinee of her Oscar-winning turn in Suspicion (1941). 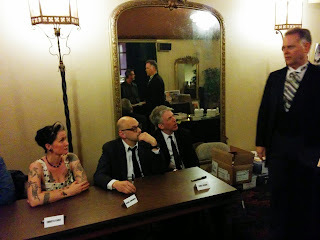 We skipped Joan in the sturdy 1953 issue film The Bigamist – a boy’s gotta eat – and returned to the Castro for a signing of the Noir City 2014 Annual, featuring work by yours truly, FNF honcho Muller, our Los Angeles sightseeing companion Christa Faust, Duane Swierczynski, Wallace Stroby, Jake Hinkson and plenty more. Look for it at Amazon soon. Joanie was back and at her bitchy best in the find of the festival: 1947’s Ivy, an Edwardian chiller with Fontaine as a fortune hunter with a husband, a lover, and her eyes on an even bigger prize. She’s in her element here, Ivy’s discreet villainy perfectly tailored to her sensibilities. More Edwardian noir followed with Robert Siodmak’s The Suspect (1944), an elegant and heartbreaking gloss on the infamous Dr. Crippen case boasting a magnificent Charles Laughton performance. Sunday’s double-bill spotlighted suspense from that maker of sudsers supreme, Douglas Sirk. The script for Shockproof (1949) was watered down considerably from writer Samuel Fuller’s original version; no doubt two-fisted Sam’s take on the story of parole officer Cornel Wilde falling for one of his charges (Patricia Knight) and into a heap of trouble would have been considerably meaner. A minor film, but on this viewing I was able to appreciate how Sirk’s supple direction preserved the remaining Fuller touches. 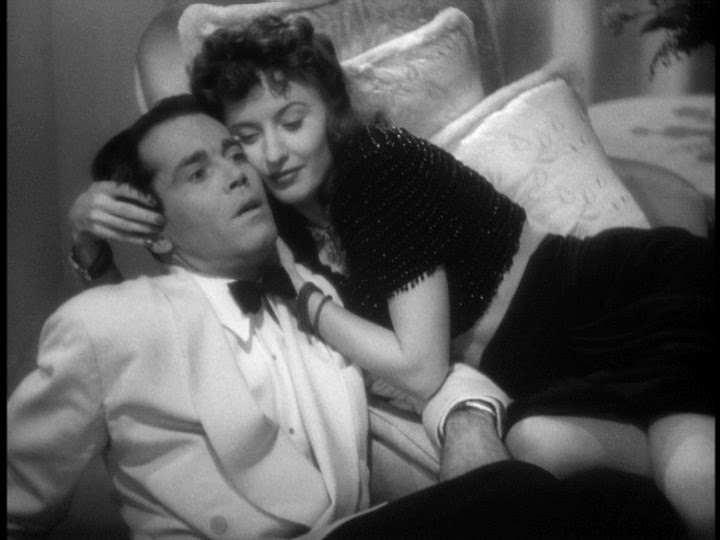 Sleep, My Love (1948) is gossamer in the Gaslight mode, with Claudette Colbert being manipulated by husband Don Ameche into thinking she’s down to her last few marbles so he can run off with Hazel Brooks, as gorgeous as she is surly. Claudette’s only hope is the relentless charm offensive mounted by Robert Cummings. Oh for the days when a movie’s main characters could be an imperiled socialite and a globe-trotting adventurer. Sleep is Sirk at his best, a film that’s all surface pleasures and no less an achievement because of them. It was the perfect ending to our California swing. 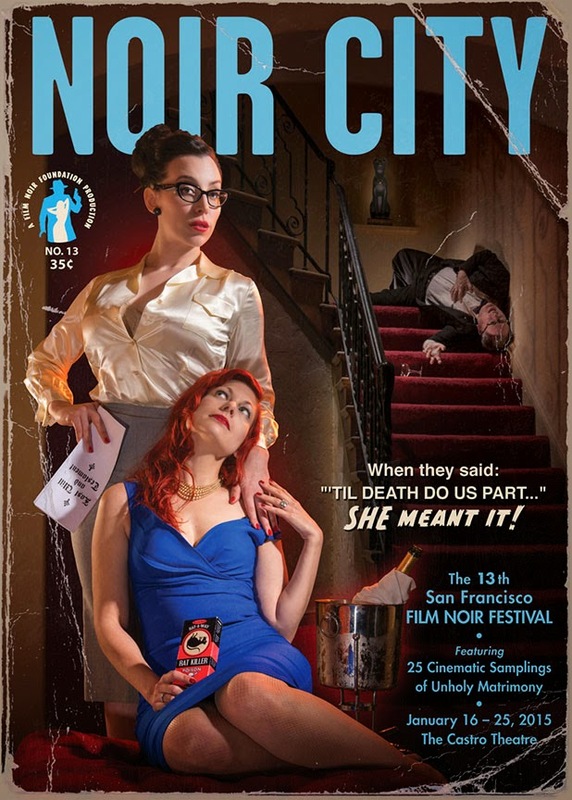 Noir City runs through this Sunday at the Castro. 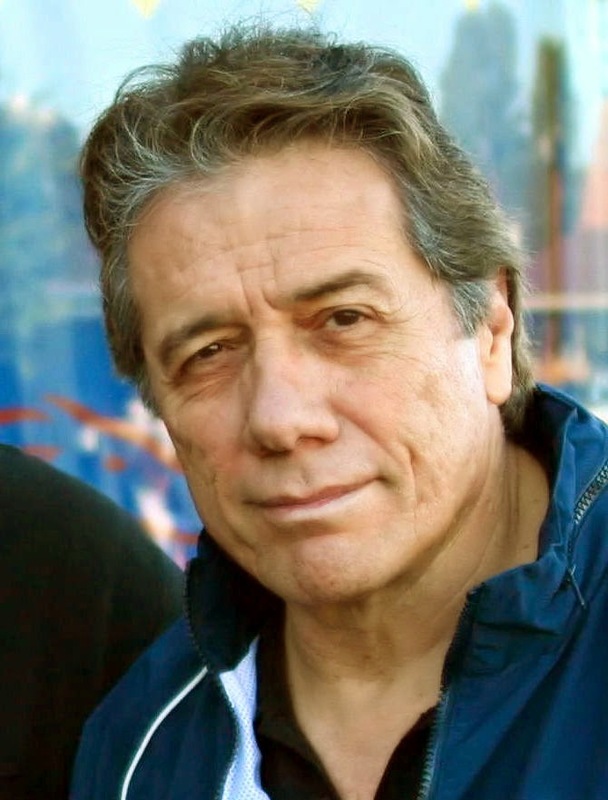 May the blessings of Edward James Olmos be with you all. 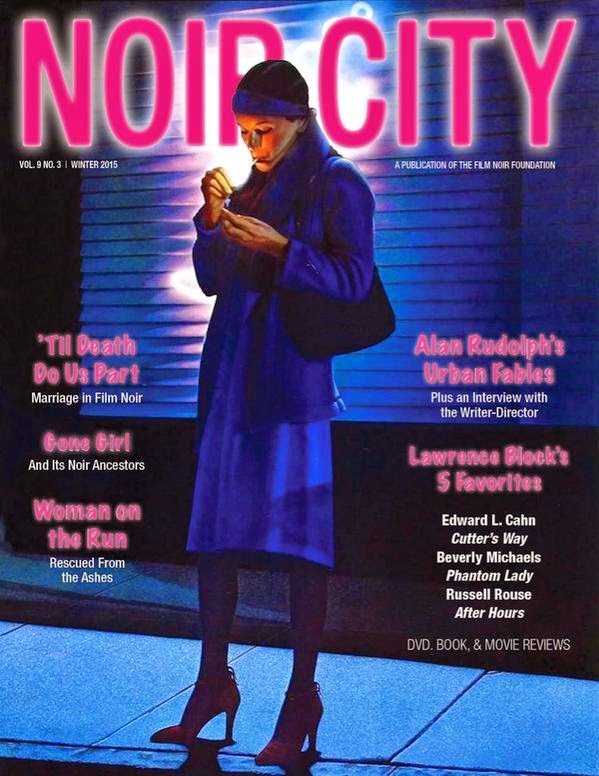 The winter 2015 issue of Noir City, house rag of the Film Noir Foundation, is out now. Let me warn you in advance: I am all over this bad boy. Rudolph relentlessly toys with the form, combining its component parts to tell idiosyncratically fanciful, open-hearted stories. “Fanciful” and “open-hearted” aren’t words customarily associated with noir, and therein lies Rudolph’s singular talent. The French, as they so often do, have a word for it: gleaning, the practice of picking over a field that has been harvested and finding enough viable material to survive. Alan Rudolph is an unparalleled gleaner of film noir, digging into terrain often dismissed as played out and discovering fertile pockets, appropriating images, techniques and moods for his own purposes. When people say a certain movie is real they mean it’s told as if real. It’s still a representation, a dream. I see no singular defined reality in the entire film experience. On either side of the screen. Film is its own reality, a living thing. Whether you’re the director or in the audience of a dark palace, your personal experience is the reality of that film. A film doesn’t exist if no one is there to see it. Ask the tree in the forest about that. I’m enormously happy with how this piece came out. Also in this issue: ‘Til Death Do Us Part, my overview of marriage in film noir. It’s intended as something of a companion piece to the 13th Noir City Film Festival, which focuses on the darker side of the matrimonial bond. Several of the movies unspooling at San Francisco’s Castro Theatre from January 16-25 are referenced, but the subject is so broad I could have gone on forever. NOTE: On Saturday, January 17, I’ll be at the Castro along with ace designer Michael Kronenberg, the one and only Christa Faust, and a host of other contributors to sign copies of the Noir City Annual. But wait! There’s more! Like my usual cocktails-and-crime column, as well as a review of the new book Of All the Gin Joints: Stumbling Through Hollywood History, an illustrated tour of Tinseltown tippling. And still there’s more! 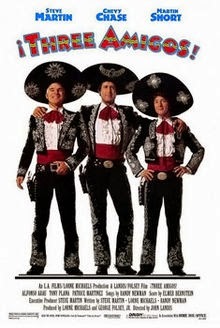 I’m telling you, people, it’s a bonanza. How do you lay claim to this bounty? Go to the Film Noir Foundation, make your contribution to preserving America’s noir heritage, and the boodle gets dumped in your in-box no questions asked. What are you waiting for? My latest Down the Hatch column is up now at Eat Drink Films. This month the focus is on that all-American “cyder spirit” applejack. I write about three cocktails suitable for the winter months, admitting that the standard-bearer for applejack drinks is not among my favorites and nominating two overlooked ones for this season’s imbibing. Be sure to read the entire issue, packed as usual with goodness. As a bonus, here’s the first time I heard about applejack, from The Computer Wore Tennis Shoes. You know the old Hollywood joke, the one about the actress so dumb she slept with the writer. 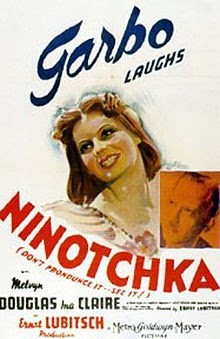 Here’s how famous the team of Billy Wilder and Charles Brackett were: when the two of them were just writers, producing some of the wittiest scripts of the Studio Era (Midnight, Ninotchka) before Wilder transitioned to the director’s chair and amassed one of the great résumés in film history, sleeping with one of them likely would have done an actress’ career some good. And it probably would have been Wilder, if Brackett’s diaries are any indication. Charles Brackett kept meticulous track of his daily minutia, chronicling one of the most storied partnerships in movies. 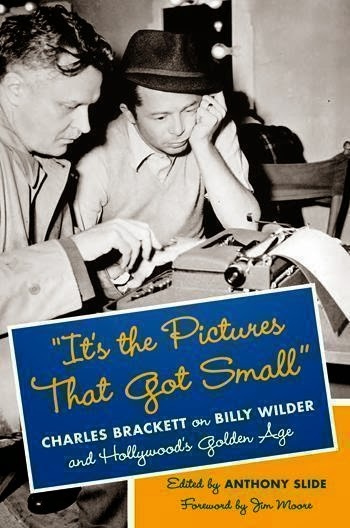 Film historian Anthony Slide has done an extraordinary job of excerpting those journals in the new Columbia University Press book It’s the Pictures That Got Small: Charles Brackett on Billy Wilder and Hollywood’s Golden Age (2014). Slide suggests that Brackett will become known as “America’s foremost, if not only, Hollywood diarist.” I’d give Brackett the title by knockout. This view from deep inside the studio system at its height is one of the best books ever about Hollywood, as well one of the finest on writing in years. Brackett was on his second bid for screenwriting success when, in August 1936, he was paired with “jaunty young foreigner” Wilder to work on Bluebeard’s Eighth Wife for director Ernst Lubitsch. Brackett describes their first work session: “Wilder, who paces constantly, has over-extravagant ideas, but is stimulating.” Three weeks into the partnership, Brackett calls Wilder “a hard, conscientious worker, without a very sensitive ear for dialogue, but a beautiful constructionist. He has the passion for the official joke of a second-rate dialogist.” By November, Wilder is laying out his psychologically opportunistic approach to seducing women during their story sessions. Like many a great twosome they made an odd couple. Wilder was earthy, European and liberal while the urbane, East Coast Brackett was a peripheral member of the Algonquin Round Table and maybe the only Alf Landon voter in Hollywood. In private Brackett comes across as a spectacularly dyspeptic figure, apparently not liking anyone (“Chaplin seems to me as repellent a human being as I’ve ever been in the same room with”) or anything (The Palm Beach Story is “the latest Preston Sturges opus and one of the weakest – disagreeable people, unappetizing situations, exaggerations”). But reading his diaries – the entries here span the years 1932-1949 – provides a keen sense of the grind of working in the dream factory. The awareness of every perceived slight, the primacy of money as a way of gauging status, the near-hysterical faith in preview cards, and above all the constant nagging sensation that his work is subpar and anyway, he’s just wasting his time. The book contains a lot about the inner machinations of Hollywood organizations – Brackett served as president of both the Screen Writers Guild and the Academy of Motion Picture Arts and Sciences – and surprisingly little about his wife Elizabeth, who battled alcoholism and depression and spent many years in institutions. On thinking about Billy’s attitude and that of all the Mittel Europeans I know towards their American citizenship, it seems to me this: they’ve come into a department store, been crazy about its stock, and put themselves down for a charge account. No more involvement than that. Wilder remains the locus here, Brackett readily acknowledging he feels like a planet orbiting his partner’s star. When one of Brackett’s children runs off to get married in 1942, the story makes the newspapers. “I was surprised. Expected them to read: Billy Wilder disturbed because of elopement of daughter of collaborator.” By 1939 he’s prepared to end their relationship, fed up with Wilder’s manners. He later wrote: “I came to bed and found myself fretting at the prospect of becoming Billy’s stooge producer – a prospect I detest.” Brackett would prove no stooge as a producer, putting his stamp on films like Niagara, Titanic and The King and I after his break-up with Wilder. 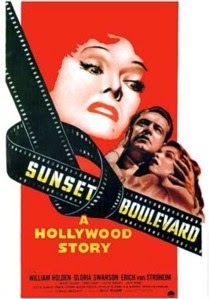 The book and the Wilder/Brackett collaboration come to a close with Sunset Blvd. (1950). Even as their decade-plus-long partnership is torn asunder, Brackett can’t help marveling at Wilder’s inventiveness. The material has the pace of a thriller, frissons arising as ideas that will become part of film history bubble up half-formed, the two men setting aside their differences to express their joint frustration with their original choice of leading man, Montgomery Clift, who walked away from the film fearing it too closely mirrored aspects of his own life. “God help people who have to deal with the young Mr. C in a couple of years, maybe a shorter time than that.” Brackett was an unhappy but hugely productive man who’d already left behind a considerable body of work. This warts-and-all account of that working life may be his greatest legacy.